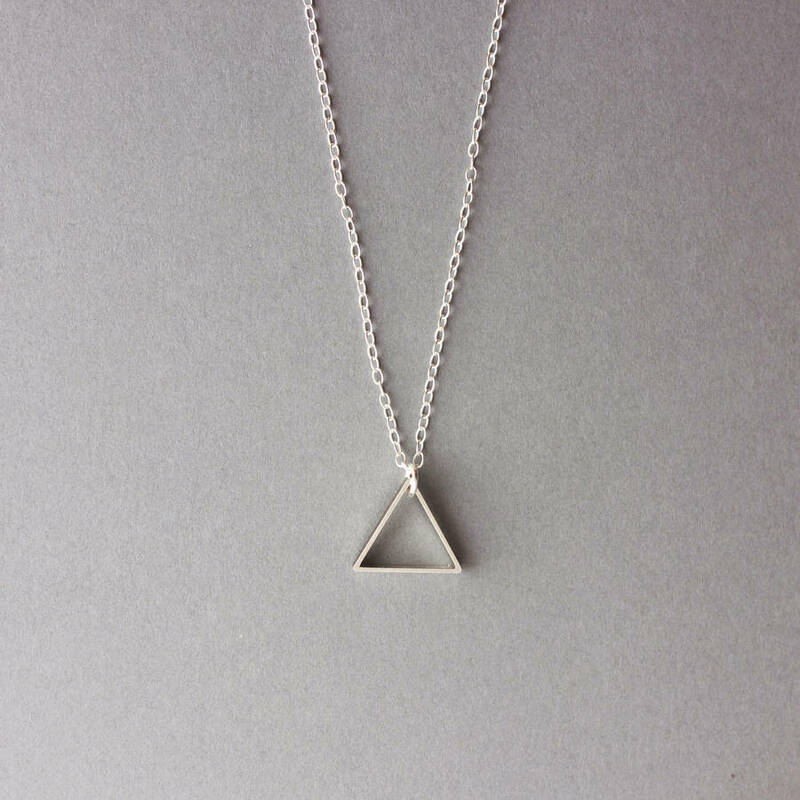 A minimalist metal triangle pendant necklace. 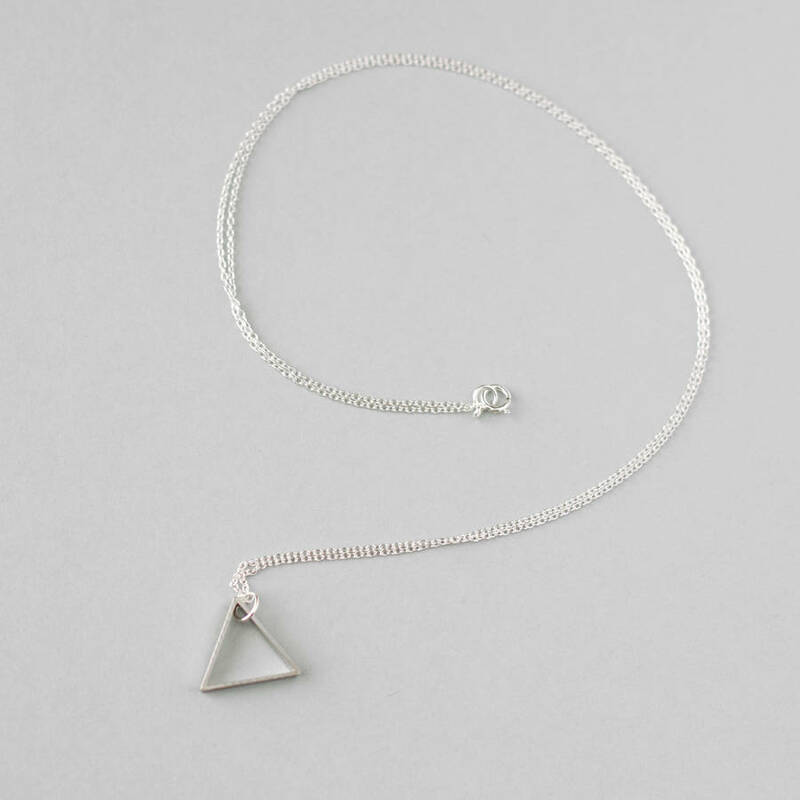 A pretty single silver metal triangle pendant on a delicate sterling silver cable link chain. 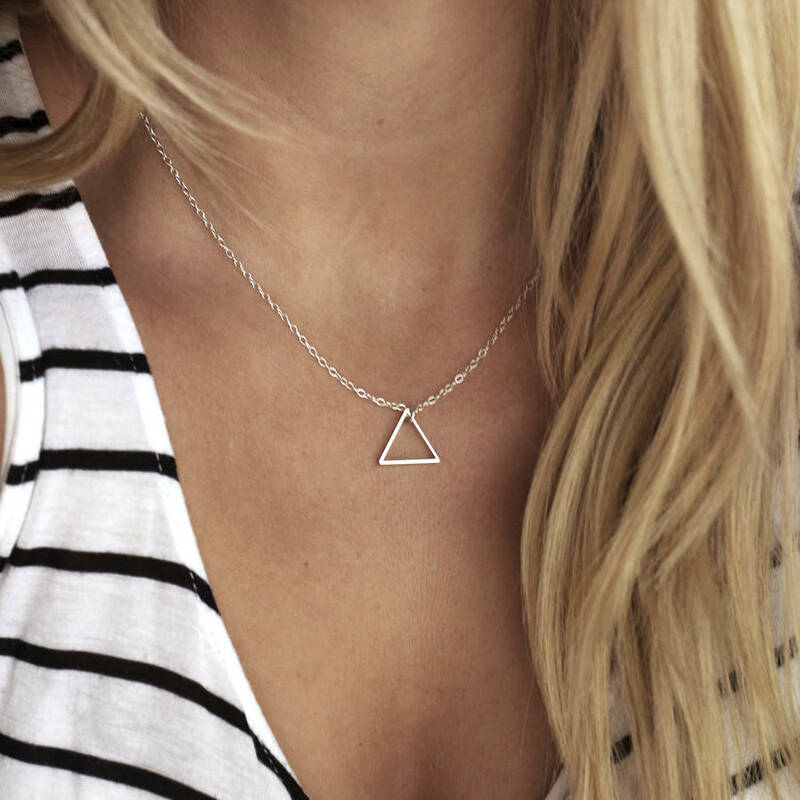 Set on an 18 inch 925 sterling silver or 14k gold filled cable chain with lobster clasp closure. 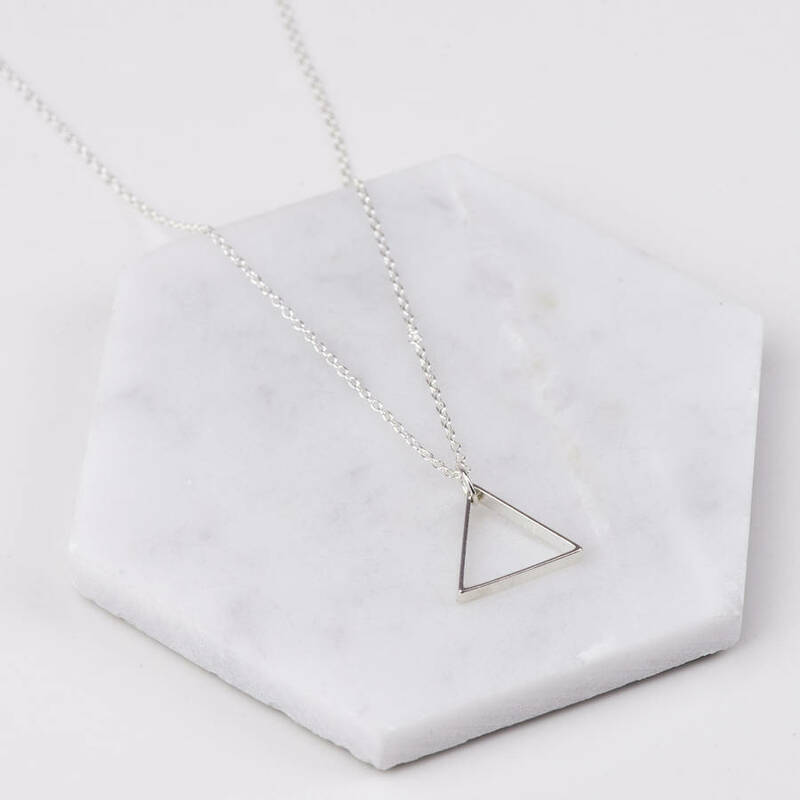 A mini and large version of this necklace is also available. 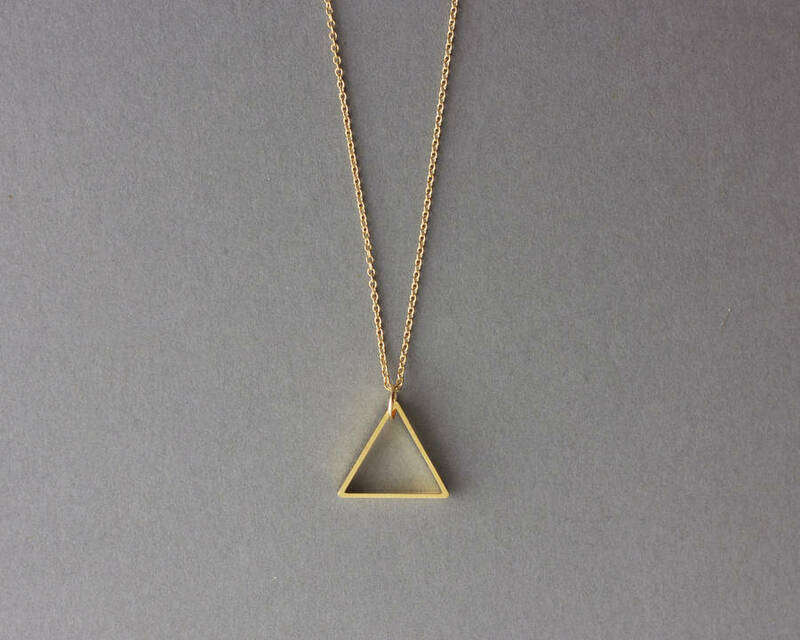 This necklace comes in a cardboard gift box. 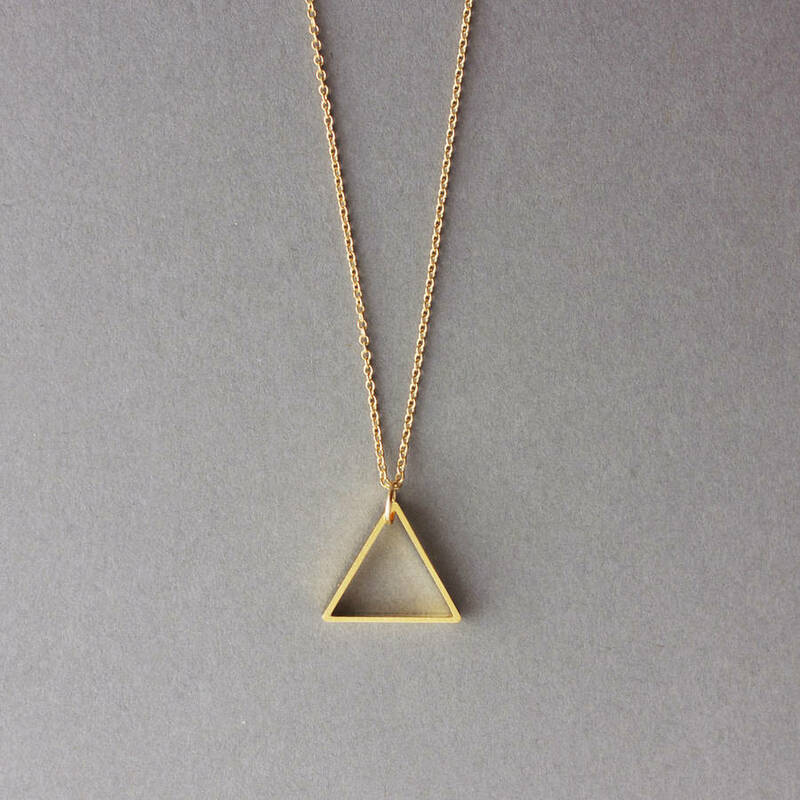 Set on a gold or silver plated cable chain with lobster clasp closure. 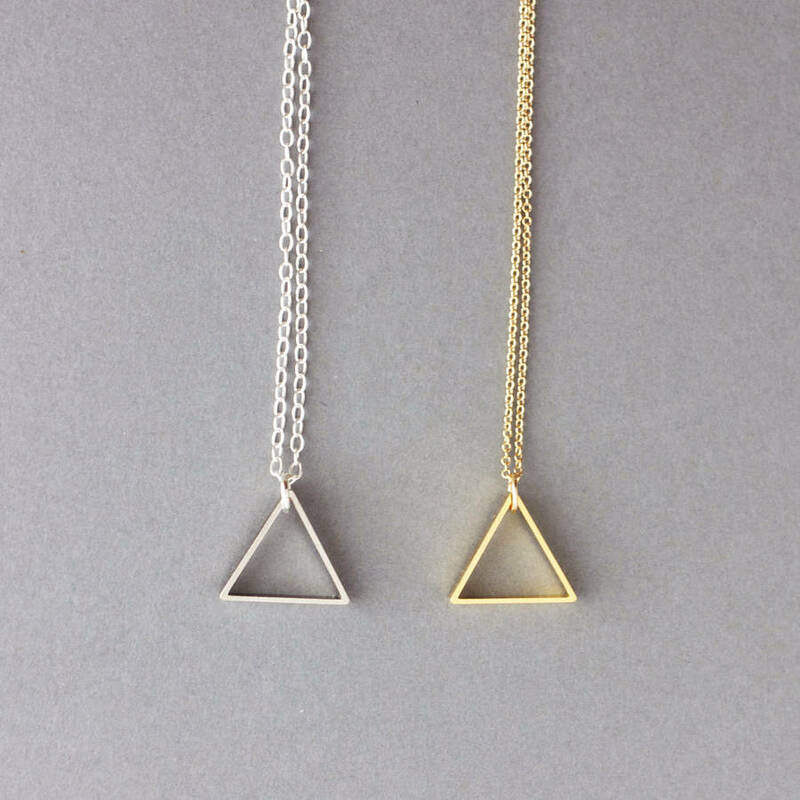 Other chain sizes are available. Try and avoid your jewellery coming into contact with perfumes, skin products and hair products. Remove when exercising, swimming, showering, or sleeping. Store your jewellery in a dry, airtight place. 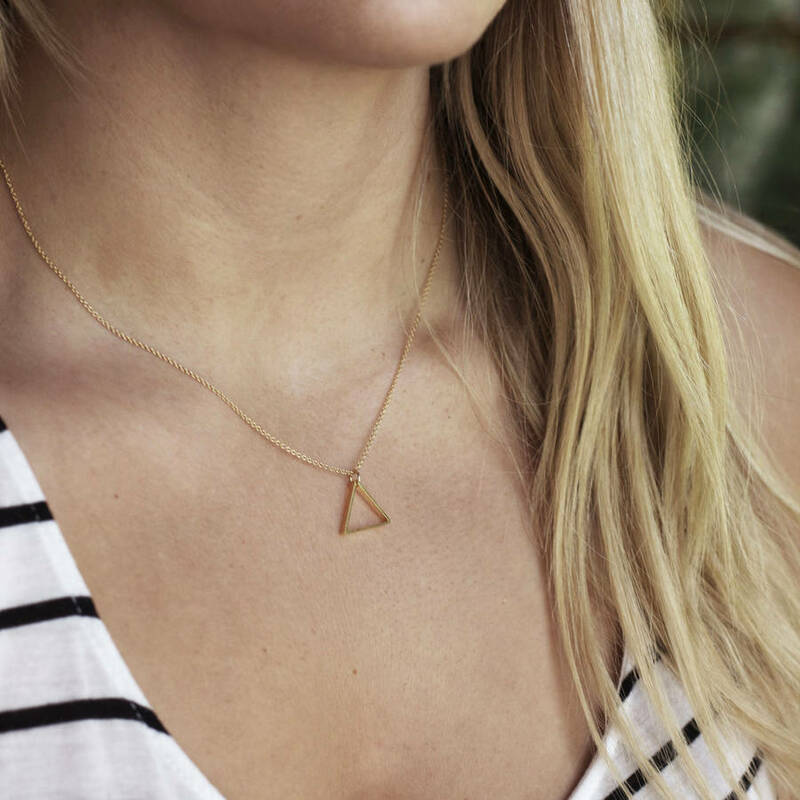 Damp or hot conditions will cause the jewellery to tarnish. This product is dispatched to you by Fawn And Rose.